RFMW, Ltd. announces design and sales support for 6GHz broadband wireless filters from Sangshin Elecom. The MBP33RC6162S525A is an excellent choice for wireless backhaul applications where flexibility in channel planning and selection is critical. The MBP33RC6162S525A from Sangshin Elecom covers the frequency range from 5.9GHz to 6.425GHz in a small 8.5mm x 5.6mm package. The MBP33RC6162S525A exhibits insertion loss of 2.0dB, 25dB of rejection at 5.5GHz and return loss of 12dB while operating from -40deg C to +85deg C. A complimentary filter, the MBP33RC5212S525A covers the frequency band of 4950 to 5475 MHz and offers comparable performance to the MBP33RC6162S525A. 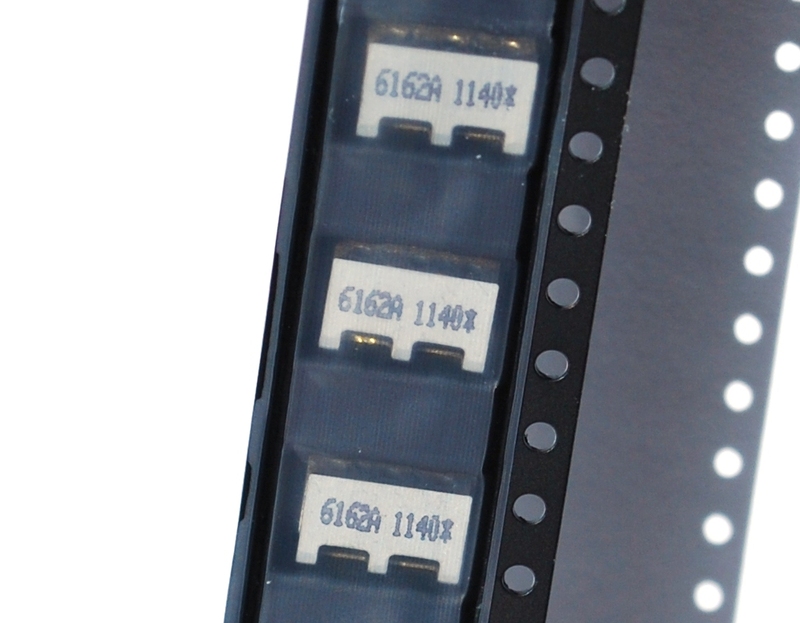 The MBP33RC6162S525A is in stock an available for sampling for qualified requirements through RFMW, Ltd.
Sangshin Elecom filters can be quickly customized to meet specific requirements by contacting RFMW.